The Problem: Blackberry, once the king of cell phones, has become a joke. Time to make it serious again. The Insight: Blackberry's security and business apps make it the perfect tool for serious business people. The Idea: This is not a toy. 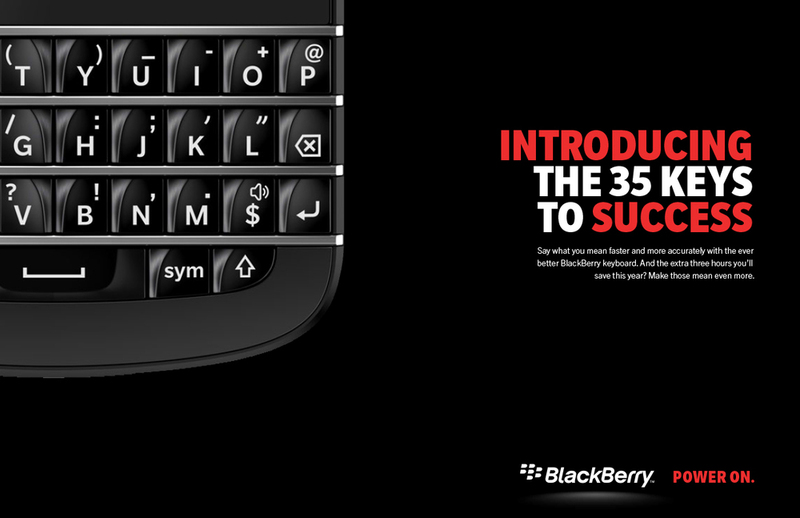 Blackberry is a powerful tool for the powerful.